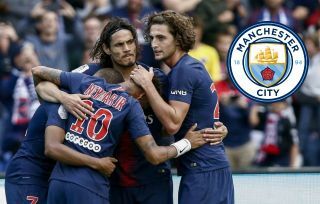 Paris Saint-Germain forward Neymar is reportedly increasingly tempted to seal a transfer to the Premier League, and with Manchester City in particular. The Brazil international suffered more Champions League frustration this week as he failed to make much of an impact in PSG’s 3-2 defeat to Liverpool at Anfield. And now, according to Don Balon, Neymar is said to like an offer he has from City ‘a lot’, as he mulls over his future at the Parc des Princes. One can only imagine how good the former Barcelona star could become under a manager like Pep Guardiola, and of course neutrals would dearly love to see him strut his stuff in the Premier League. Who should win the Ballon d'Or this year? Neymar has long been regarded as one of the finest footballers in the world, but Don Balon claims he’s now feeling more than ever that this needs to be his last season with PSG if he is to win major prizes like the Champions League and the Ballon d’Or. This looks to be very good news for City, who already possess one of the best squads in world football, but who would undoubtedly go up a level themselves in competitions like the Champions League with a player like Neymar in their ranks.